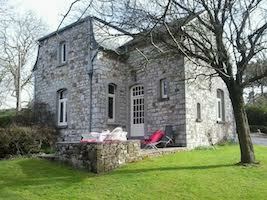 Comfortable and very pleasant gite in a renovated farmhouse dating from the 18th Century. In all seasons, the opportunity to make a lot of walks (hiking, biking, horseback, boat, kayaking, climbing, etc. ..). Throughout the year, enjoy the many cultural and tourist activities. The proximity of the valley of the Meuse and Lesse give you the opportunity, in all seasons, to make a lot of walks.